All you brides-to-be, take a look at 4 wedding makeup misconceptions that should ignored at any cost! “Do this, don’t do that” is what a bride-to-be gets to hear from the former brides and new brides of the family! It often leaves the poor girl in a dilemma, confusion, and an utter state of panic. The deal is that bridal beauty, and muddling through it for tips is the last thing any bride-to-be needs. It only ruins her beautiful pre-wedding experience. So, today, Zuri brings to you 4 major wedding makeup myths and popular misconceptions that should or could be debunked! And why? Afterall, it’s your wedding day! Why do you have to look like all the other ladies attending the ceremony? As a bride, you must stand out. You don’t need to stick to basics or wear the same makeup you put on every other day (probably to work or otherwise). For such an important day of your life, just go all out and wear those colors that will enhance your look, compliment your bridal lehenga or saree. Go for dramatic eyes, subtle sparkle for a well-defined face. Look awake, cheerful and bright! Whether it’s a daytime affair or a night-wedding, be sure to wear that shade of a lipstick which is atleast 2 times darker than the shade you typically wear otherwise. Make sure to sport a red pout which is lined properly, is less likely to rub off and goes well with your overall personality (as well as skin tone). For instance, women with fair complexion should opt for blue-toned red lips. Cherry reds are a great balance between warm and cool, which can easily make lips of an Indian complexion look like perfection! Seriously? 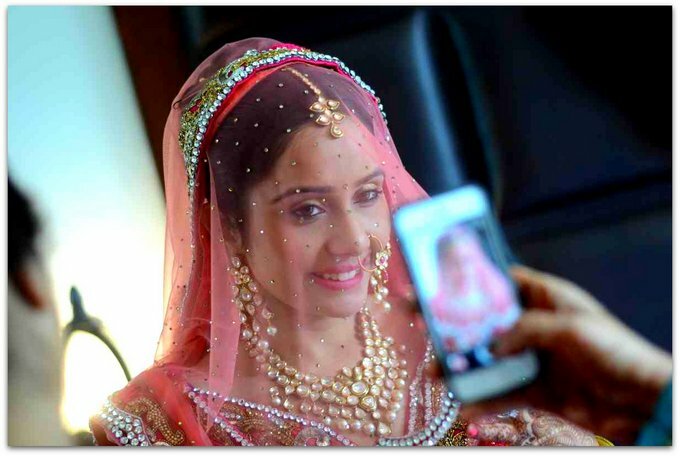 Gone are the days when in order to look pretty in the wedding pictures, a bride would have to look so heavily dolled-up (so much so that the makeup would start looking hideous by the time the dinner would begin to get served)! There is something called as high definition makeup which gives your skin a flawless look on the camera. And, if you are not ready to opt for HD makeup, then there are so many foundation options easily available in the market that give you flawless coverage. So, if a burgundy color is in, does that mean that your lips and eyeliner should be the same shade? 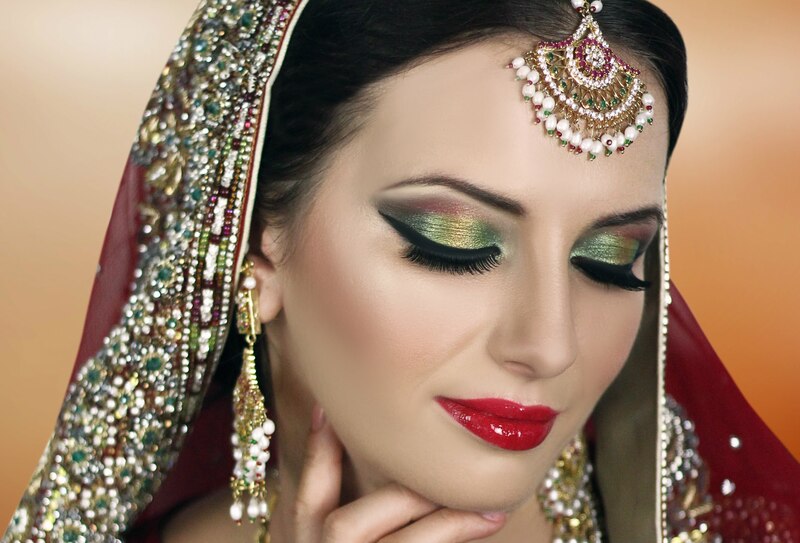 Your wedding day makeup should make you look elegant and beautiful. 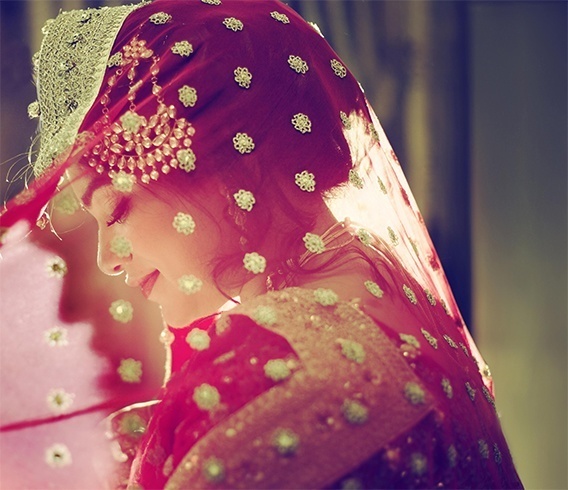 When you look at your wedding album or the video, those ‘once-trending’ but now ‘outdated’ colors shouldn’t haunt you. The wedding makeup should make you look pretty, not fashionable! Remember, you are not walking the ramp of a fashion show.